Small Groups at NextStep Fellowship are just that, small groups. Many of our Life Groups focus on three life changing transformational activities: God’s Word, Prayer, and Fellowship. Other groups may focus on tasks or specialties. Here are some of the current groups, although we have some new ones starting soon! 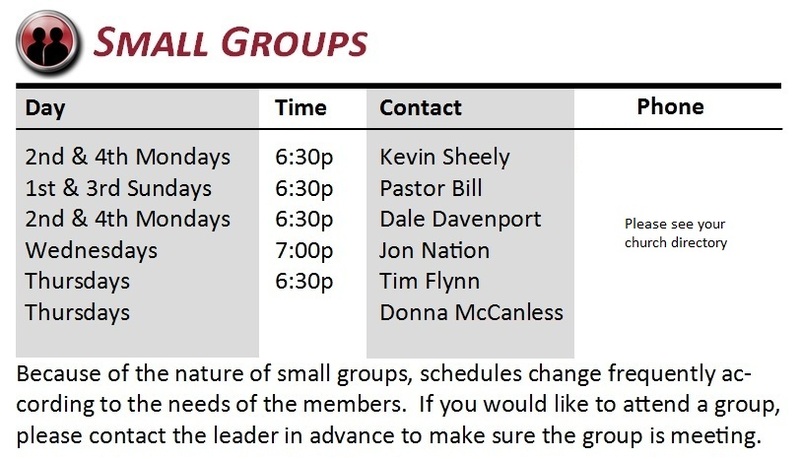 If you are interested in joing an existing small group or starting a new one, please let us know!